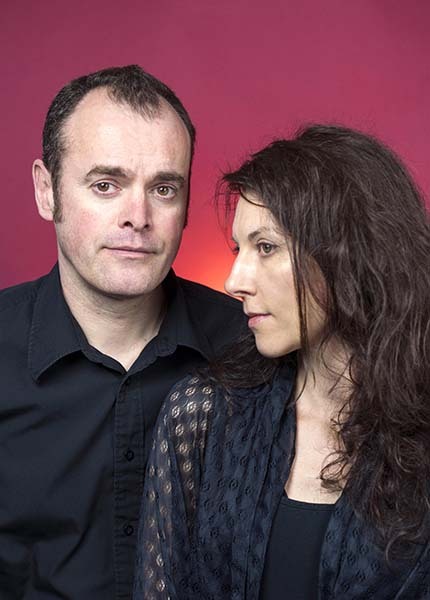 Metaphrog are Franco-Scottish duo Sandra Marrs and John Chalmers, winners of The Sunday Herald Scottish Culture Awards 2016 Best Visual Artist. They have been creating comics and graphic novels since 1996. Their graphic novels have received international acclaim and multiple award nominations, including three for the Eisner Awards (the Oscars of comics). 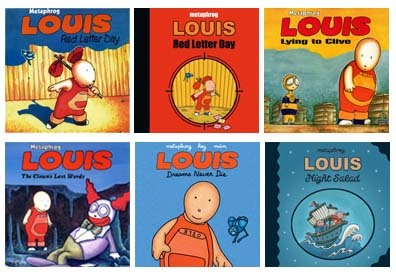 Louis – Night Salad was also Highly Commended for the Scottish Children’s Book Awards 2011. Metaphrog tirelessly promote the medium of comics and travel regularly to talk about their work. They were Patrons of Reading at Northfield Academy 2013-17, Writers in Residence at the Edinburgh International Book Festival 2015 and Graphic Novel Authors in Residence with Glasgow Life at Holyrood Secondary School. 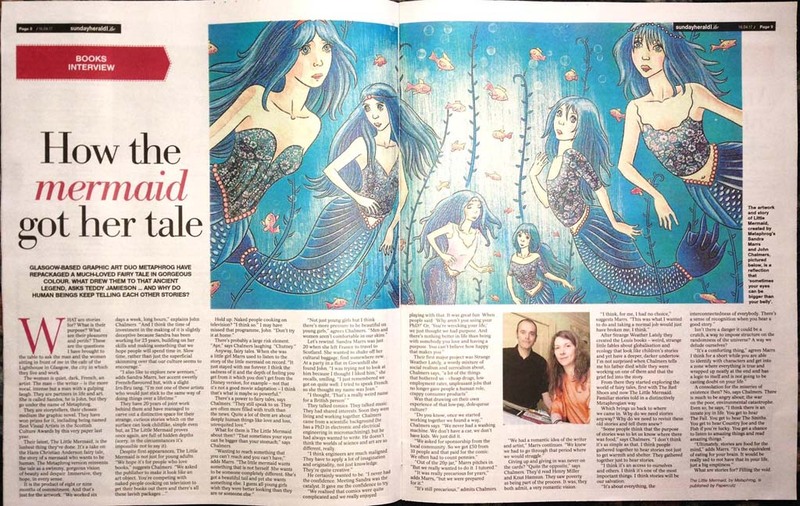 They have spoken at prestigious venues such as The Glasgow School of Art, Gordonstoun school, The National Library of Scotland, The Edinburgh International Book Festival, The Guardian and international schools and festivals around the world. Metaphrog have also undertaken key commissioned work for prestigious clients, for example their comic adaptation of Edwin Morgan’s Poem The First Men on Mercury for The Association for Scottish Literary Studies. John is from Scotland and studied engineering and science, gaining three degrees, including a PhD in Electronic and Electrical Engineering in a branch of Opto-Electronics involving micro-machining. In 1994 he had just returned to Scotland from working in the Netherlands. 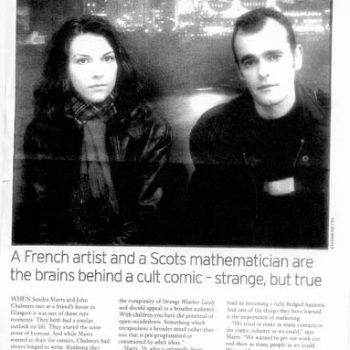 Sandra, from France, has a degree in Arts and Letters, and had just packed her bags and moved to Scotland in search of adventure. Their meeting was a catalyst and within a few months they created Metaphrog. Their latest works are adaptations of fairy tales The Red Shoes and Other Tales and The Little Mermaid. They are currently working on a third volume to be published by NBM/Papercutz in 2020, with support from Creative Scotland. ‘Our story began in 1994 when we met in Glasgow quite by chance. John was just back from working in the Netherlands and completing a PhD, and was on a short-term contract as a research scientist. He had always dreamed of being a writer. Sandra, had always drawn and painted, and after studying Arts and Letters, had packed her bags and left France in search of adventure and to pursue her calling of becoming an artist. We met almost right away, fell in love and started working on comics together. 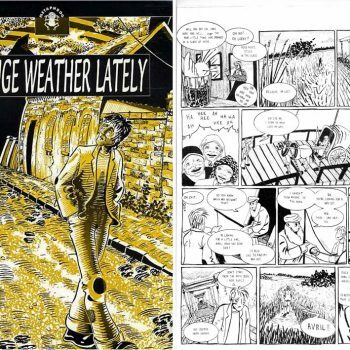 After creating several short comic stories we eventually produced our first self-published comic Strange Weather Lately – Martin Nitram #1 in December 1996. The comic quickly sold out and our career had begun. Since then we devoted all our waking hours to making comics. 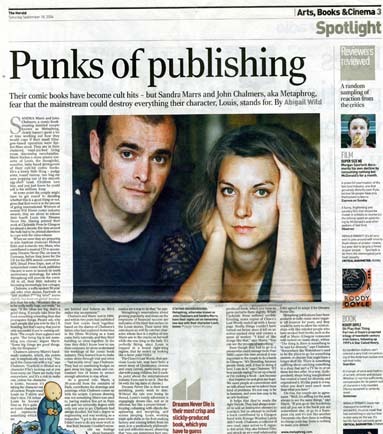 When we started we were both determined to make a living as writer and artist. But we had absolutely no idea if this was even possible or exactly how to go about it. Comics weren’t really respected back then. Most people thought they were just for kids, or plain trash. 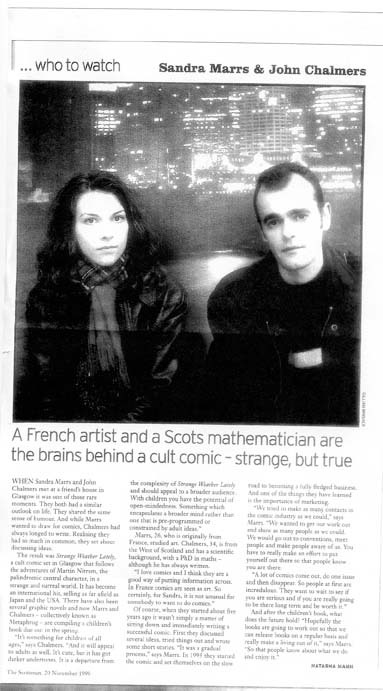 Initially in the UK and US, we were told that our work was too European or our comic was “the wrong size”, while in Europe, and in France particularly, that our comics were too Scottish, not enough this or not enough that. People kept on telling us we were doing the wrong thing with our lives: “You should get a proper job and make comics as a hobby!” But this only made us more determined, we felt the need to write and draw and were committed to making comics. Perhaps we had romanticised the idea of the starving artist, the hungry writer. The reality of penury could be harsh. Any money we made from a publication went straight into the next, and we lived below the breadline, sometimes even reaching for the jar of pennies. But it didn’t really bother us, we were caught up in the momentum of what we were doing and kept busy producing comics and trying to bring them to a wider audience, beyond the comic reading audience. In 2002 we received funding from the Scottish Arts Council for Louis – The Clown’s Last Words. 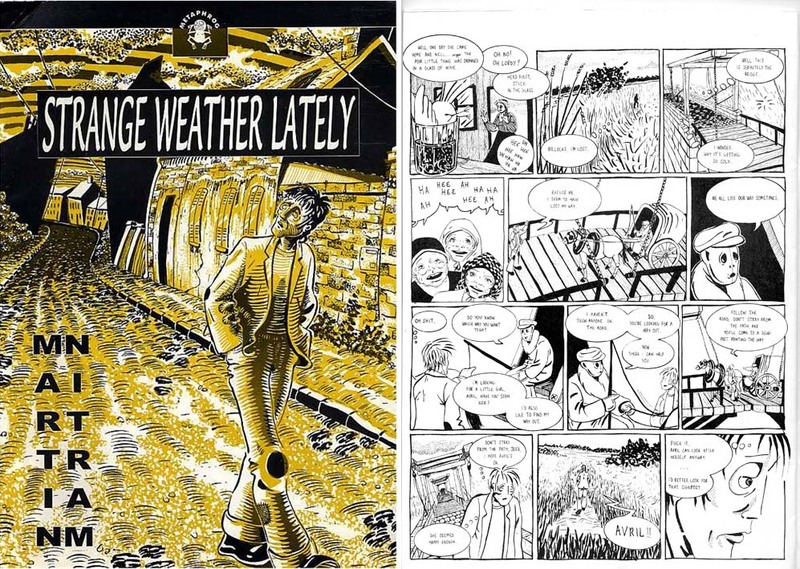 This was the first time an arts council had ever funded a graphic novel in Britain. For us it was not only a relief financially, but also a validation that comics could be taken seriously as art and literature. The Scottish Arts Council became Creative Scotland and they have continued to be extremely supportive of our work. 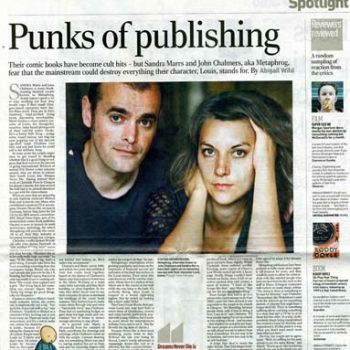 In 2004 we worked on a very special project with the groundbreaking record label FatCat. Musicians hey and múm provided music, we created a comic, Louis – Dreams Never Die, and an animation, and the project cross-pollinated the worlds of comics and music. Louis – Dreams Never Die was featured on the late, great John Peel’s radio show along with his beloved session-favourites The Fall. 2004 was also a turning point for comics, starting in the US. Independent comics were gaining acceptance and generating more and more readers, artist like Daniel Clowes, Chris Ware and Joe Sacco had been gaining mainstream respect, and new publishers were turning to graphic novels. 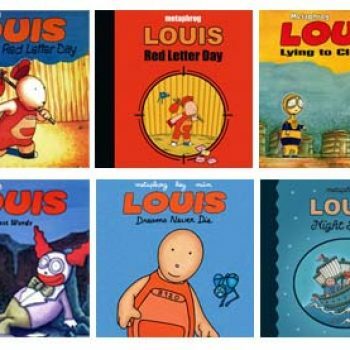 After completing Louis – Night Salad, and re-releasing an entirely re-drawn and re-painted version of the long-sold-out Louis – Red Letter Day, we were ready for a new challenge. This was around 2010. We spent some time taking on commissioned work and producing illustrations. While doing this we were incubating what we were going to do next. We created short stories which we collected in the Winter’s Tales mini-comic and sent to some of our contacts around Christmas 2013. One of the recipients, Terry Nantier, founder of the legendary NBM Publishing, got back to us almost right away saying he’d loved it. NBM are one of the early, pioneering publishers of literary graphic novels (they were established in 1976), with a passion for French comics in particular. Papercutz is NBM’s sister company and focus on all-age graphic novels. That’s how we ended up creating a collection of graphic novel fairy tale adaptations for Papercutz. 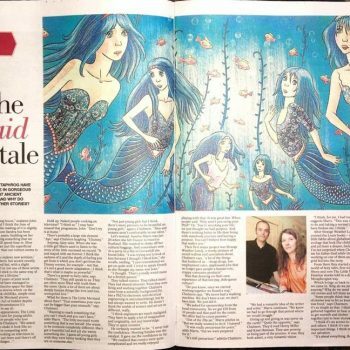 The Red Shoes and Other Tales came out in 2015, followed by The Little Mermaid in 2017 to great acclaim. Currently we are working on a third volume.